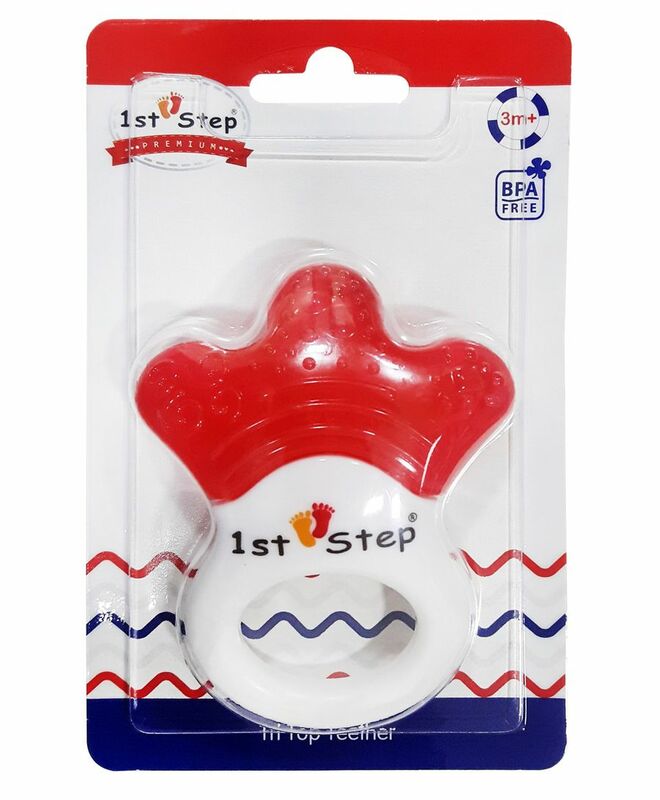 1st Step presents this water filler teether for little ones. It is designed to soothe your baby's tender gums and is ideal for cooling in any conventional refrigerator. Made of safe BPA free material, this teether is designed to last and become your child's favorite toy. Wash care: Wash before each and every use. Use warm soapy water and rinse thoroughly. Warning: Do not boil, steam or microwave sterilise as it may cause damage. Inspect the teether before every use and discard at the first signs of damage. Do not attempt to fill water into the teether. Adult supervision is a must.